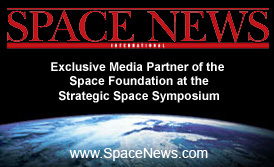 More than 40 companies and organizations from across the space industry will showcase their technology in the dynamic AMERICOM Government Services Exhibit Center at the Strategic Space Symposium. Click on each company’s logo or company name for more information. buy silagra 50 sildenafil pills online no prescription order cheap Silagra 50 pills. Silagra 100mg. buy generic viagra online brand and generic viagra pills. Cialis Levitra.